It was nice to attend EclipseCon Europe 2011 this year and give a packed git tutorial with some colleagues. Here are the slides and tutorial notes in case you missed it. 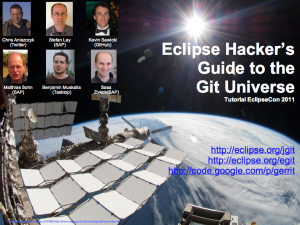 We covered information from basic git usage within Eclipse to all the exciting integration with Gerrit, Mylyn and Github. It seems like it went well since Ed Merks mentioned that he learned some new things (he’s lately been shaving a lot of yaks when using git). As a reminder, the Eclipse Foundation is moving to git and it would be great if existing projects migrated earlier than later. 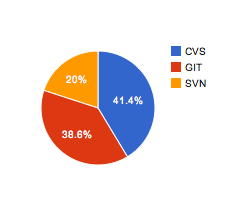 At the moment, a little over a third of the projects have fully migrated to Git. If you need help migrating, please subscribe to git@eclipse.org to ask for help and check the git migration information on the wiki.